I've been watching the Marvel Cinematic Universe ever since Iron Man was released on DVD. 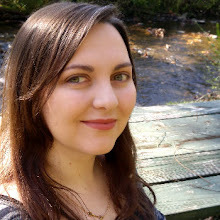 I loved them, but it wasn't until I first watched Thor that I really became an MCU fangirl. I loved the story and the characters, and I also discovered my favorite superhero. I love story lines about fallen characters finding redemption, so that was already a reason I loved the first Thor movie. After being cast out from his home for actions which could have restarted an ancient war, Thor was faced with the dilemma of being in unfamiliar territory without his familiar weapon or companions and trying to rediscover who he is. The lessons and experiences stick with him throughout the rest of his series and the Avengers films. 2) His sense of humor. Saving and protecting the realms is serious business. But even heroes need a laugh now and then. Thor's sense of humor serves to make him even more lovable than he already is. He isn't afraid to playfully taunt his friends (or his enemies) or make a sarcastic remark. He's not afraid to laugh at himself either. Thor cares deeply about his family, friends, and people in general. It's part of what makes him a good candidate for leadership. Also, unlike most of his teammates, Thor doesn't often hide what he's feeling (even though sometimes his enemies use this against him). Thor is a very open person. What I love about this, though, is the depth it brings to the character. It makes him real. 4) His sense of justice. Thor has a distinct code regarding what is fair, especially after he regains Mjolnir. He has a new understanding of his responsibilities, as both a prince and future king and as a person. Before he acts, he now weighs the possible outcomes and what it will mean for others as well as himself. 5) His sense of wonder. Asgardians are a very advanced race of beings, and while Thor is primarily occupied in protecting his people and the realms, he also has a strong curiosity about the worlds around him. Even when he is on Earth, where much of the technology and knowledge is primitive compared to Asgard's, Thor is curious. If he doesn't understand something, he works toward learning to understand it. His curiosity also makes him a good teacher, willing to share what he knows with others. Thor was actually the first Avengers movie I ever saw, so he always has a special place in my heart for that reason. 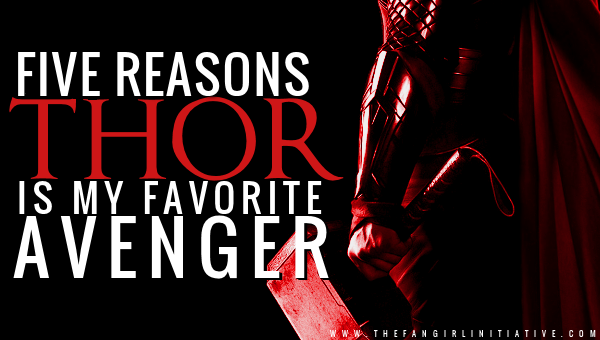 <3 And while Cap is actually my favorite, I think you nailed all the reasons why Thor is my second-favorite! I love his sense of justice and wonder, his growth into manhood and responsibility, his kindness, his humor. His chest. You know. Whatever. Go Thor. There are so many layers to the character and it's fun seeing how they show through in the stories. It's interesting, too, how he and Cap are actually very similar!